Just a quick post here to embed a couple of recordings of the same piece. This first recording was made last June (2009) when I was trying to see how I really sounded to someone in front of the sound hole on my guitar. What did I learn? That I either sound awful, a Nokia 5300 is not a good recording device, or both. Just a quick post here to embed a couple of recordings of the same piece. 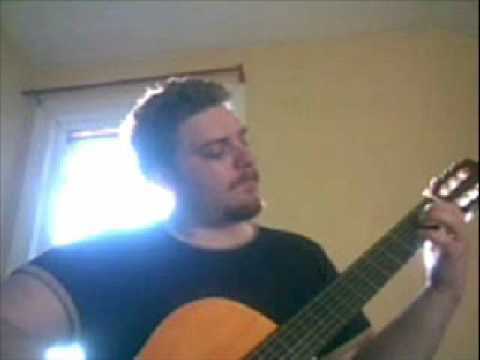 This first recording was made last June (2009) when I was trying to see how I really sounded to someone in front of the sound hole on my guitar. What did I learn? That I either sound awful, a Nokia 5300 is not a good recording device, or both. Instead of removing the video completely I stuck a single pulled frame from the original, although the best frame still isn't a good picture of me. This second recording was made today using a Zoom H4n. Not exactly a fair competition, but my Nokia 5300's microphone and speaker have become faulty again (and that's after having replaced them) so the 5300 deserves a bit of humiliation. 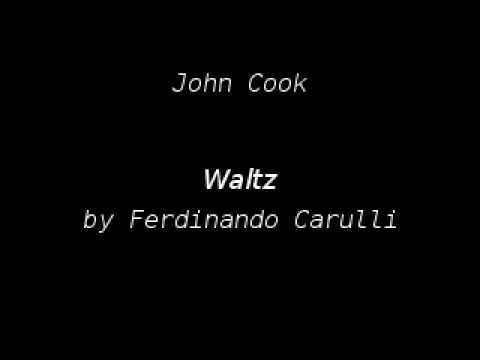 Posted by John Cook on Thursday, 18th March 2010 . Last updated on Friday, 26th March 2010 .